Dr Alison Paul’s office is in the Main Building of Cardiff University. The building is filled with wonderful statues, artwork and architecture. To get to her office, she walks through small winding hallways, up several sets of stairs and although the room where she spends most of her time is somewhat obscure against the grand backdrop, the work she does in that room is a shining example of research in practice. 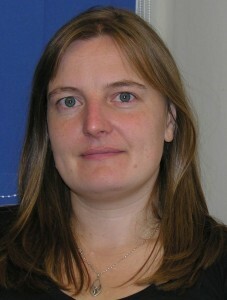 A senior lecturer in the School of Chemistry, Alison’s work is mainly in soft matter: a discipline which includes research into gels, polymers, surfactants and dispersions. However, research was not always the path that she thought she would take. “I was a long time getting here. I did my undergrad in Cardiff and spent a year in industry as part of that. I worked for ICI (then ICI Imagedata, now a part of ITW) on a project where we designed a security coating for passport ID photos. I was fortunate enough to see the project from start to finish and I thought the whole experience was brilliant and that it was definitely what I wanted to do: to go into industry,” she recalls. And it’s here that Alison’s story becomes really interesting because unlike others who work in academia or in industry, she has always been interested in criss-crossing the boundaries that divide the two worlds. Realising that in order to progress in industry – a path which appealed to her greatly – she would need to get a PhD, Alison studied in Bristol for a PhD in Surfactant Chemistry. “That’s interesting. When I was a student it never really occurred to me that it was a male dominated area, the labs I’ve worked in have mostly been pretty balanced. I probably only really noticed when I sat in one of my first staff meetings as an academic and realized I was one of only two women in the room. It felt like a very sudden change, and I see even less women at academic levels higher up, so yes, I suppose I do now feel some responsibility as a female role-model. But ultimately science was always just something that I was interested in doing, and I never really considered my being a woman would make a difference one way or another. I’m a scientist, I happen to be female. Perhaps it is a sign of her own skill and the existence of a meritocracy that Alison has not noticed so much of a problem with a gender bias in her discipline. It is this good work which has also led her to take part in some very exciting projects over the past few years. Most recently, she has made leaps and bounds in a project with Professor Judith Hall (Department of Anaesthetics, Intensive Care and Critical Care Medicine). Together, the interdepartmental team are reimagining the way that anaesthetists work. The project which has just received a large grant from Welsh Government’s Academia Expertise for Business (A4B) scheme, a six year programme which looks to provide support for knowledge transfer between academia and real world situations. In this case: delivery of anaesthesia. The A4B grant facilitates the exploration of how the project could be taken from its current form to a viable product for everyday use across a variety of applications from hospital situations to developing world scenarios and usage in palliative care among others. “We’re very very pleased to get the funding to keep the team together and keep the project moving,” Alison explains. And she should be! The possibilities for a cheaper, more exact and user friendly anaesthetic delivery system are very exciting and more than the science itself, this project is about making a difference in the day to day life of thousands of people. If that’s not perfect for a person who loves the balance between academia and industry led research, then a perfect project doesn’t exist!